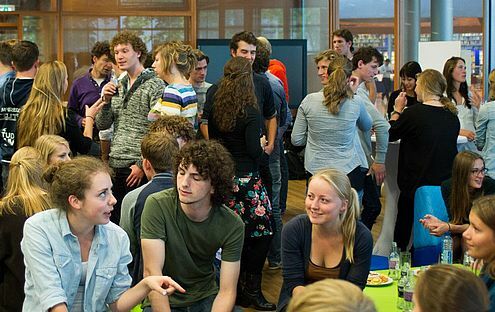 TU Delft offers talented and motivated students the opportunity both to invest more time in their own area of study and to broaden their horizon at the same time. If you feel ready to take on an extra challenge and wish to broaden your horizon beyond your regular course of studies, the Honours Programme Master (HPM) may provide just that for you! The main aim of the Honours Programme Master is to develop talent and initiative. This entails that (1) students are taught to master their discipline of choice and exercise it at a higher level, (2) to develop a broad horizon and see beyond the boundaries of their discipline, (3) to play a prominent role within and outside their own discipline and (4) to make a significant contribution to society. The Honours Programme Master consists of 20 ECTS: an individual part of 15 ECTS and a collective part of 5 ECTS. The individual part is up to you. You may try to broaden your scope and follow courses at other faculties or seek in depth studies at your own faculty. For this, consult the contact person of your faculty. You will be assigned a coach to help assemble your programme.